With clean, soft lines, this chair offers a modern take on a classic chair. The piece features flared track arms for an elegant silhouette, while wooden block feet add contemporary appeal. A HR foam core at 1.8 density ensures comfort as you sit in style. 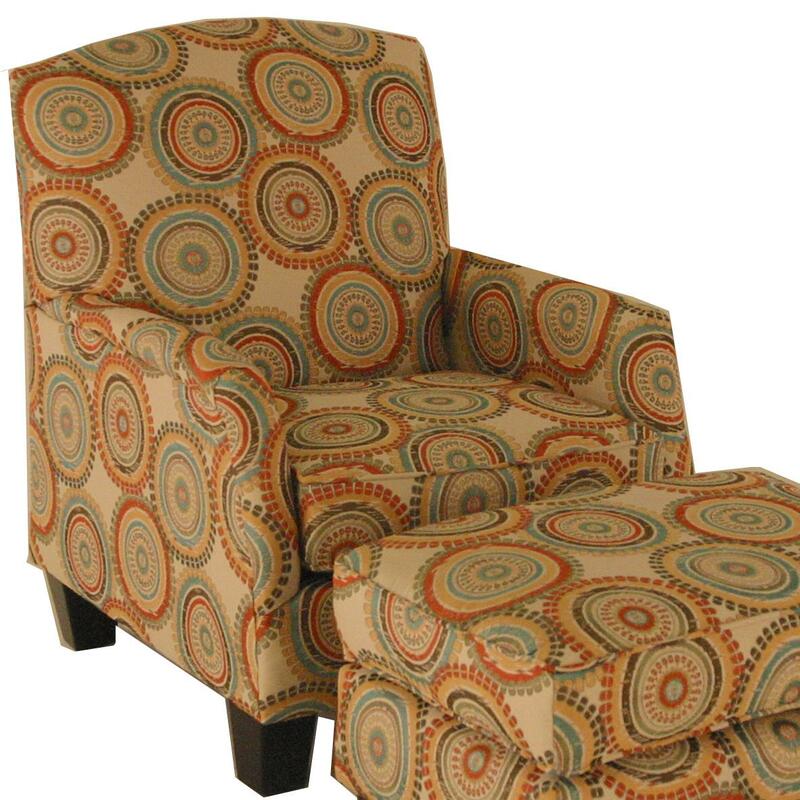 The Accent Chairs and Ottomans Transitional Chair with Block Feet by Chairs America at Royal Furniture in the Memphis, Nashville, Jackson, Birmingham area. Product availability may vary. Contact us for the most current availability on this product. The Accent Chairs and Ottomans collection is a great option if you are looking for Transitional furniture in the Memphis, Nashville, Jackson, Birmingham area.